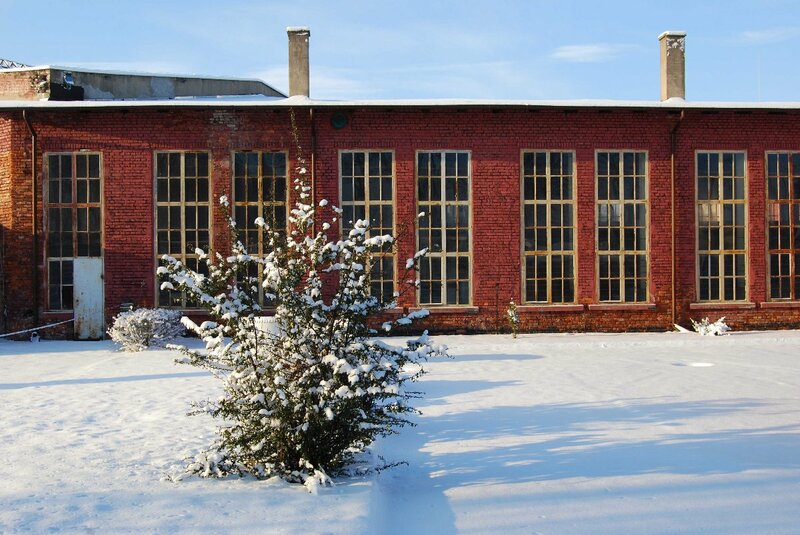 As each year, between 26th and 28th February we will take part in Touristic Fairs in Łódź – Where Cultures Meet. 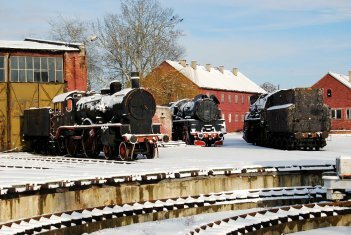 This is one of two such events in which we participate regularly to promote the value of Skierniewice Engine Shed and its railway collection. The fairs will take place in Expo Hall at Politechniki Alley 4 in Łódź. This time you can find us at a modest but our own stand (number 106). We would like to invite all interested to meet with us during those three days of Fairs. Despite the forecast thaw, last Saturday (23rd January) was exceptional cold. For the whole weekend temperature hardly exceeded 10 degrees below zero. 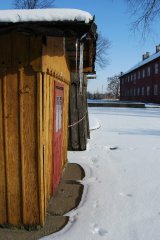 Freezing cold combined with bright winter sun decorated every roof edge of Shed’s buildings with beautiful icicles. Despite the frost, we did not gave up and run our errands in the shed. On Saturday the floor of the future telephonic exchange room has been dusted and washed. Next, heavy-duty linoleum has been fitted and cut to the size of the room. 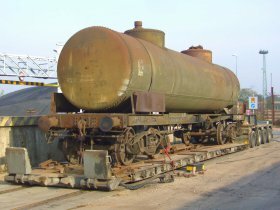 For the next week it will be settling down under the pressure of heavy beams to facilitate refitting and glueing it on place. 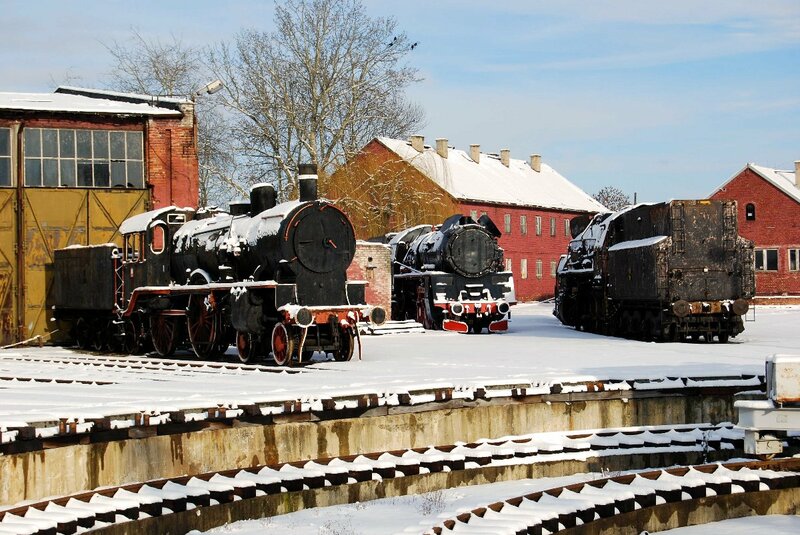 Winter and all its attributes, snow and frost, slows down the activities in Skierniewice’s Shed. 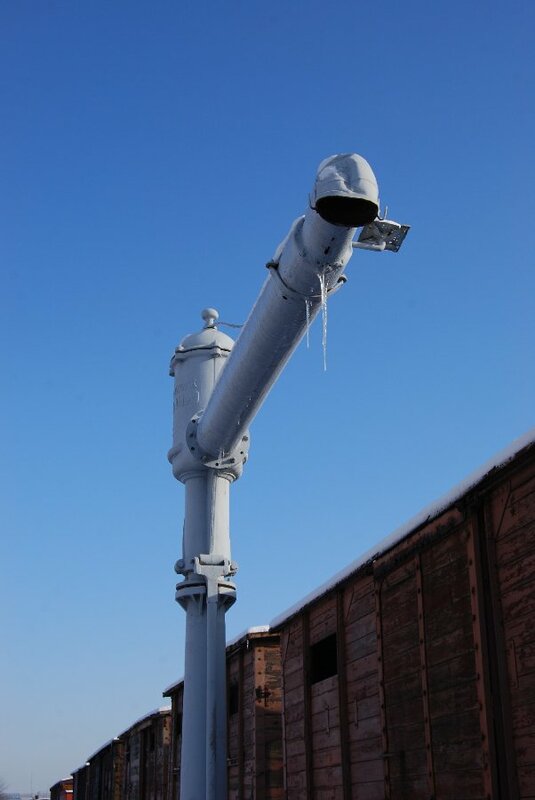 Work in cold is not easy. Multilayer clothing restricts movements and even gloved hands stiffen in contact with metal parts and tools. Even an after work wash-up may be unpleasant. Hot tea quickly gains the quality of a poor cold drink and an instant soup, when unattended becomes a cold cream. 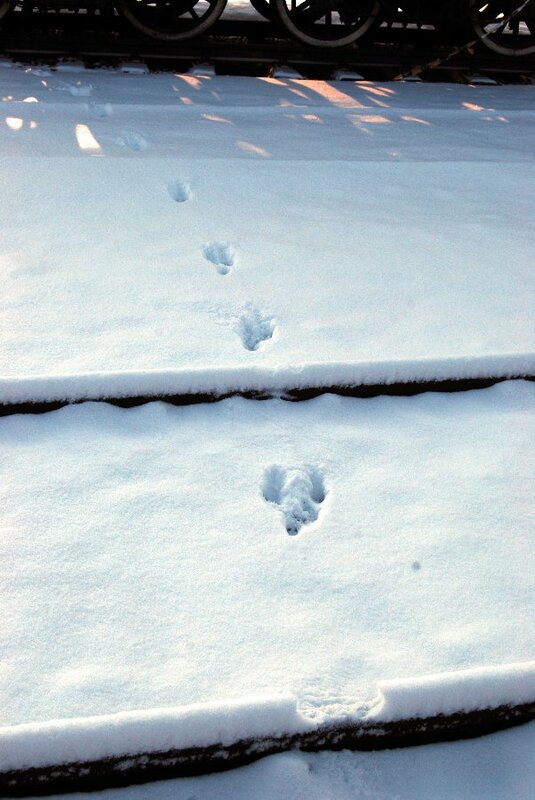 Yet, there are moments when winter sights rewards for the inconveniences. Fresh snow and sharp winter sunlight allows one to view the Shed from a different perspective. White coat covers everything hiding the flaws. 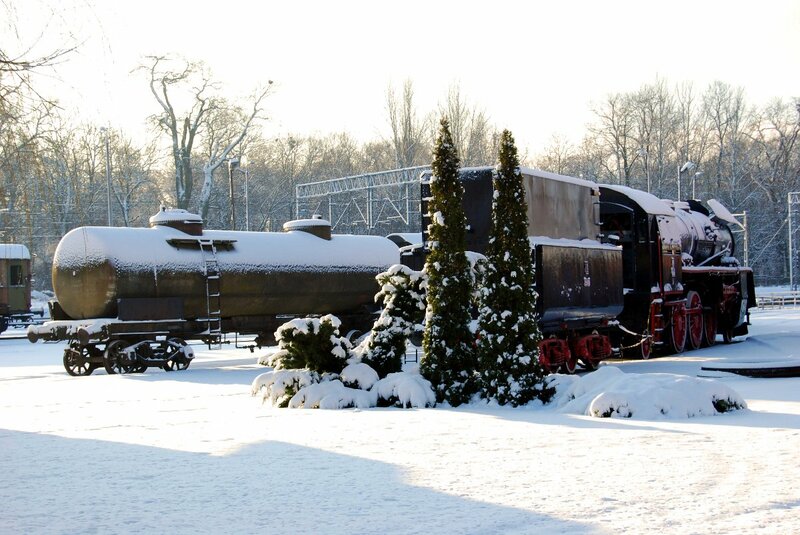 Trees and rolling stock receive their own white blanket. Sun uncovers the long forgotten nooks. One can also learn that we are not the only hosts of the Shed. 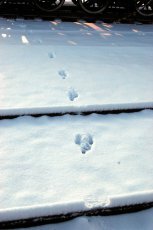 The snow gives away all secrets – multiple trails of all more or less domestic animals. Flat-rate taxpayers, remember about us when settling with IRS! The end of January is the usual time of settling the taxes for flat-rate taxpayers. This is why we would already like to remind you of the possibility of donating your 1% of income tax to PARE. 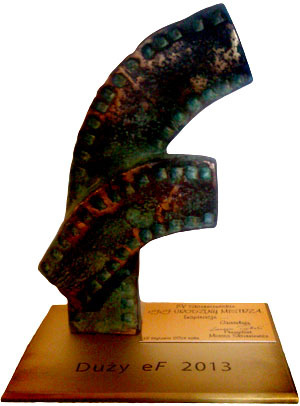 We received over 27 thousand PLN from 1% donation. 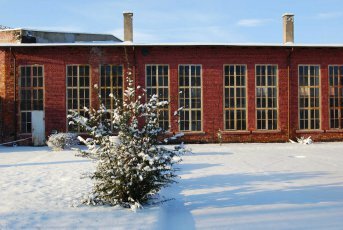 Using the above money as initial capital, we received 100 thousand PLN of subsidies for rebuilding and refurbishing of the Shed’s buildings. 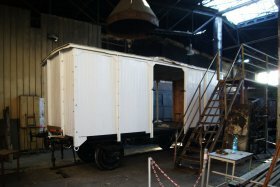 Another 19 thousand PLN was provided by the sponsors for works connected with rolling stock. 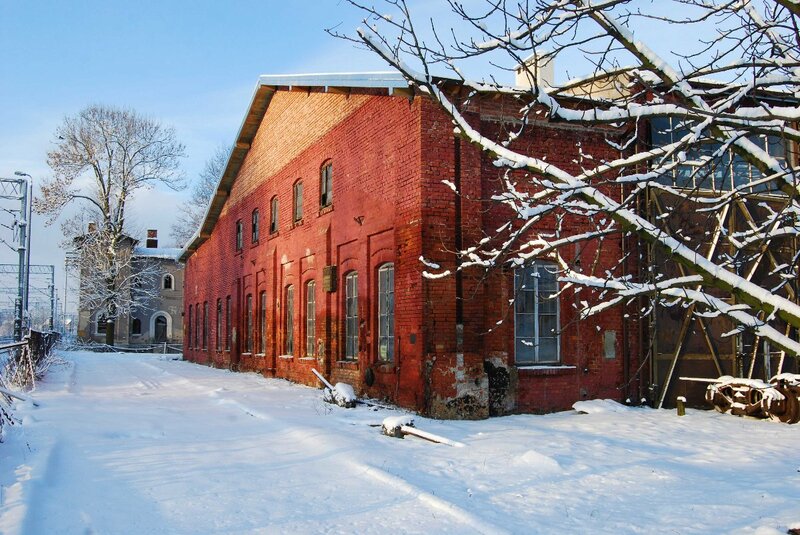 We rebuilt the oldest part of the roundhouse – the so-called Łowicz annexe. 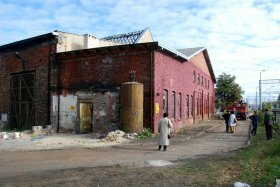 The works included reconstruction of ceilings and roof. In the future this part will be housing the new interactive railway signaling exhibition. 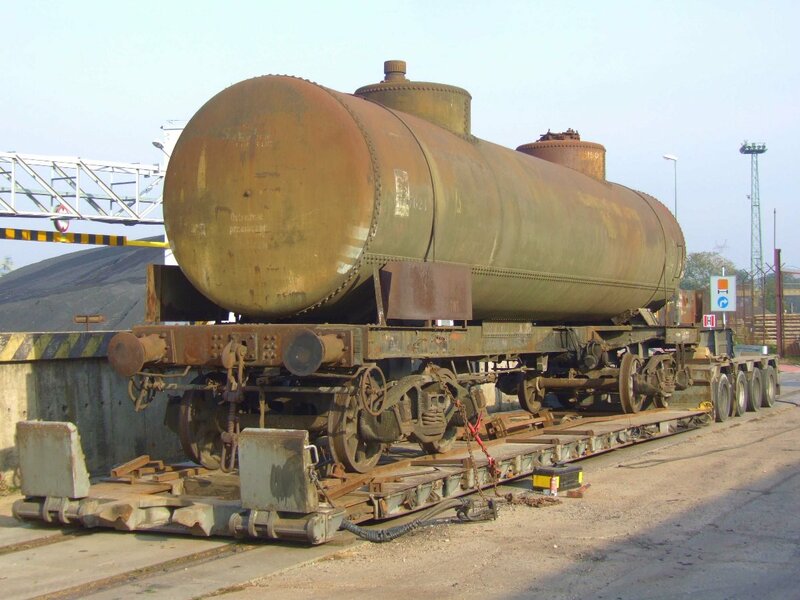 We saved the unique American tank car from 1944. 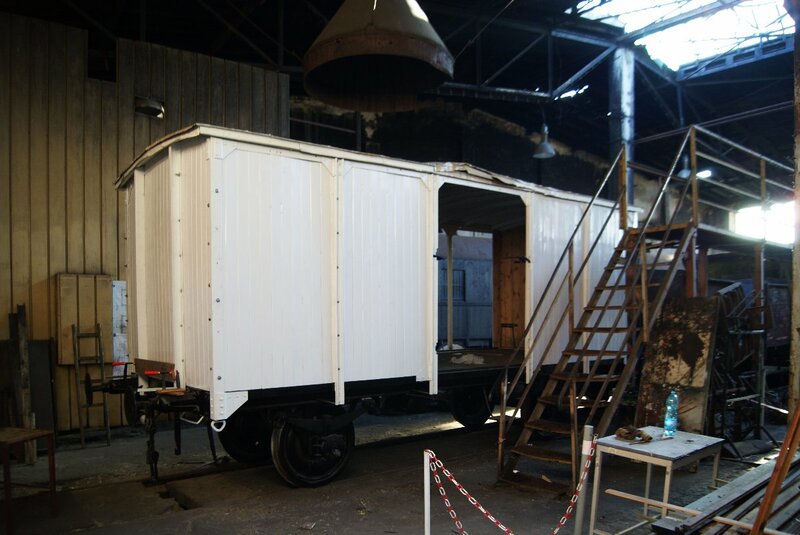 We continued the works by the refrigerator car and class Ol49-4 steam engine. And for what we will devote the 1% donation received in 2016? 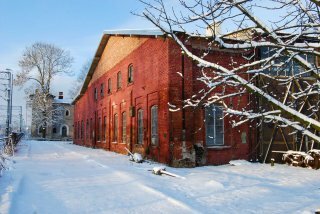 Similarly to the previous years it will become the initial capital for subsidies for renovation works – we intend to finish the repairs of roundhouse roof and start rebuilding the skylight. We will also continue the ongoing rolling stock renovation works. If you would like to support us you only need to provide in your PIT tax form the KRS number of our organization 0000216091 and the donated amount. Each, even the smallest, help will be gladly appreciated -thank you!